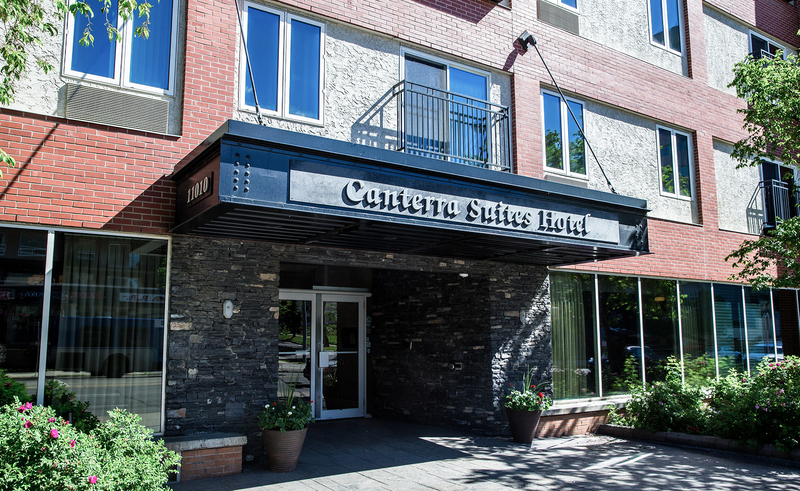 From business conferences and presentations to community gatherings and events, the Canterra Room is the perfect setting for any meeting in downtown Edmonton. Floor-to-ceiling windows look out onto Jasper Avenue, creating a bright, spacious ambiance. High-speed Wi-Fi, along with electrical, cable and telephone outlets, make it simple to connect conference calls and computer displays. The Canterra Room opens up to our beautiful west lobby, where guests can gather for breakout sessions or downtime. Whether it’s providing a list of local caterers or supplying coffee and beverages, our knowledgeable staff is happy to help with your event preparations.